Our toys on stilts walkers are magical. Composed of several caracters (as many as you want) they will walk around and turn on their lights when it becomes dark. 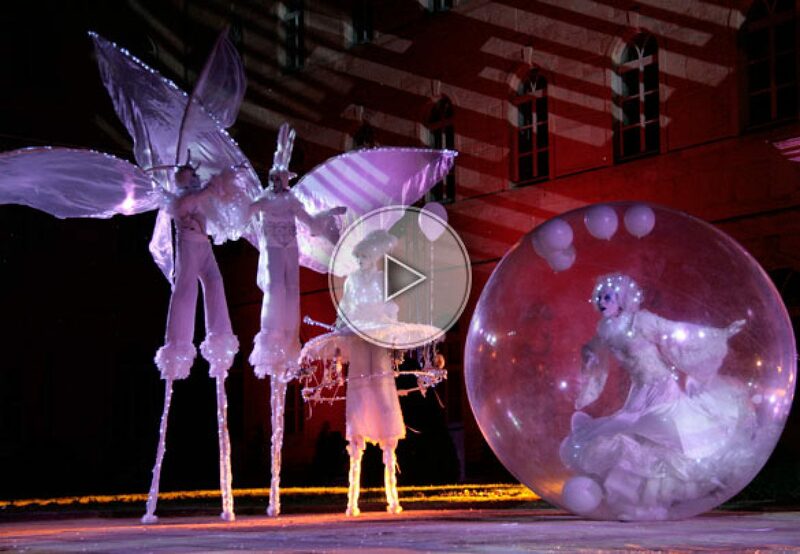 The stilts are of different sizes and you can also have a dancer in a transparent bubble.